Interval training is in many ways just like it sounds. This form of training involves periods of high-intensity workouts, followed by a recovery time that is equal to or longer than the workout time. For example, you start by warming up and then spend 2 minutes sprinting at full speed, you then drop down to a slow jog or even a walking speed for the next 2 to 3 minutes while you catch your breath and repeat the cycle. 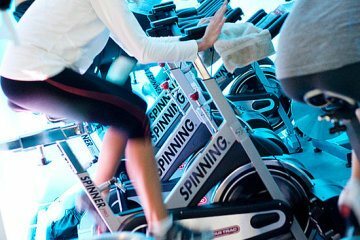 Some gyms in Reno teach the benefits of this type exercise, but it is worth reiterating the do’s and don’ts. You need to know that with this type of exercise, you are pushing your body beyond the red-line for those two minutes, to the point where you are gasping for that next breath and aching for the moment when you can relax. What you may not realize is that the most important part of this type of exercise is the recovery period. Far too many people jump into interval training before they are ready for it and end up with a list of injuries that range from sprains and strains to muscle injuries. You should never sacrifice your form in favor of a high-intensity interval workout, not only do you risk injury, you could put yourself at risk of a permanent injury, making you unlikely to achieve your goals. Sure, this sounds like the opposite of what you should be doing to build up your muscles and stamina, but any of the best gyms in Reno will tell you: rest and recovery are a major component of interval training. Your body needs plenty of time between workouts to rest and recover, without which your body will never have a chance to recover, putting you at higher risk for an injury. If you are serious about nutrition and working out on a regular basis, then you know your body needs plenty of proteins to rebuild muscle. One of the major functions of protein in your body is to help repair muscles that have been torn or damaged. Excellent sources of protein include fish, meat, soy, whey protein shakes. Experts advise that you consume 1 gram of protein for each pound of lean body mass. No matter how often you visit gyms in Reno, you should never try and focus your efforts on a single group of muscles. Interval training is intended to focus on your body as a whole, leading to a more effective workout. As tempting as it may be to try and limit your caloric intake to help you knock off those last few pounds, you need tons of energy to perform interval training. If you start cutting back on your calories, your body will not have enough fuel to perform a successful workout. Most gyms in Reno have professional trainers on staff who will work with you to determine the best calorie and protein intake to help you meet your goals. One of the most important reasons gyms in Reno need to teach the do’s and don’ts of interval training is that this will help to ensure you are confident in your exercises. It will also help to reduce the risk of severe injury that could lead to permanent damage or the need for surgery. If you have further questions, don’t hesitate to talk with one of our experienced personal trainers. Contact Flex Appeal today!